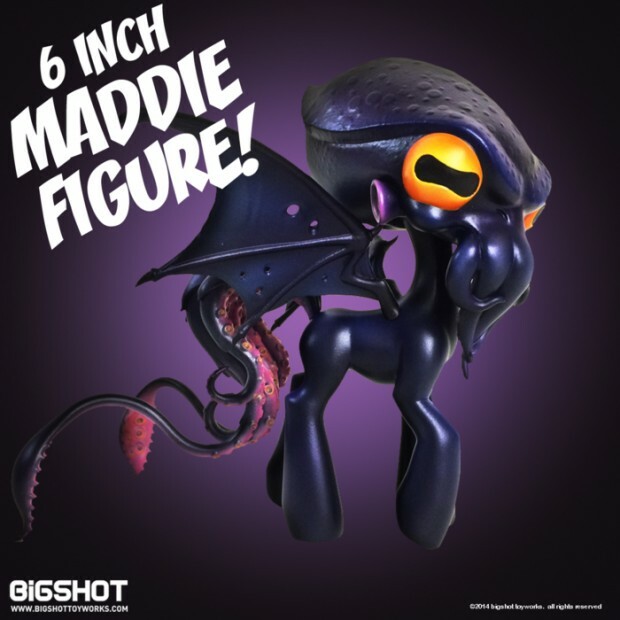 You can now own get a vinyl figurine of Maddie, the Cthulhu-inspired pony that Bigshot Toyworks revealed earlier this year. Like Goat Simulator, Maddie started out as a joke but was awakened from her nap time by the Internet’s adulation. Bigshot Toyworks has since created a back story for Maddie. The company describes her as “an ‘older sister’ type with an affinity for sleeping. 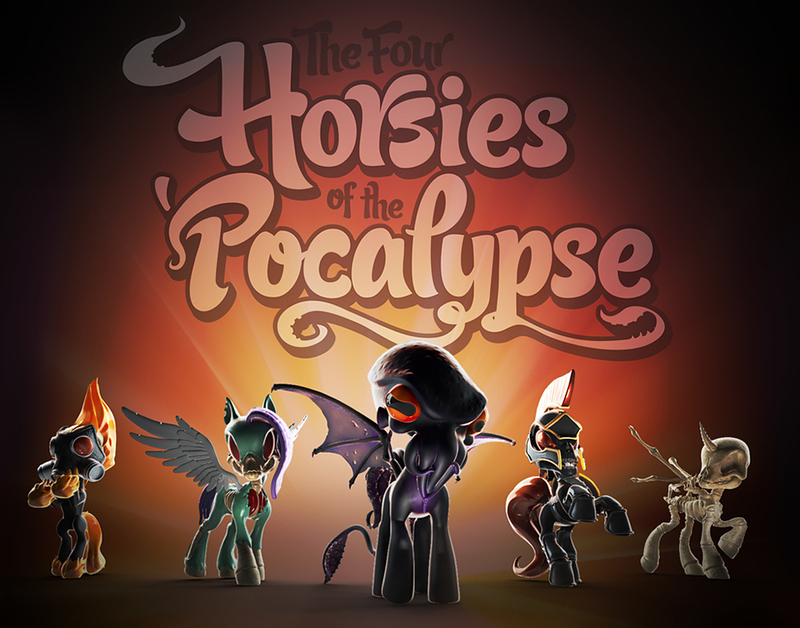 Despite her drowsy disposition, this tentacled terror is an incredibly capable strategist and the ‘face’ to the ‘Pocalypse.” Maddie serves as the mentor of The Four Horsies of the ‘Pocalypse: Calamity (Pestilence), Raven (Famine), Clash (War) and Ghost (Death). 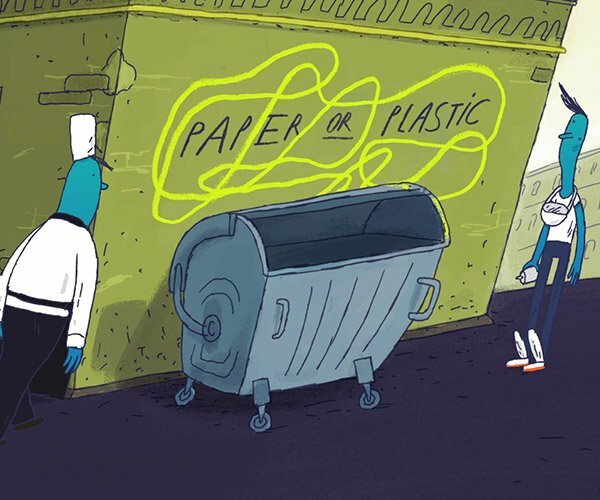 Try explaining that to the kids. Pledge at least $60 (USD) on Kickstarter to get a Maddie figurine as a reward. You can also pledge at least $160 to get a Kickstarter exclusive glow-in-the-dark version of Maddie. If this fundraiser is a success, Bigshot Toyworks will be more inclined to release figurines of the Four Horsies as well.